Are you looking for a licenced site to dispose of Arboreal Woodchip Waste in Surrey? 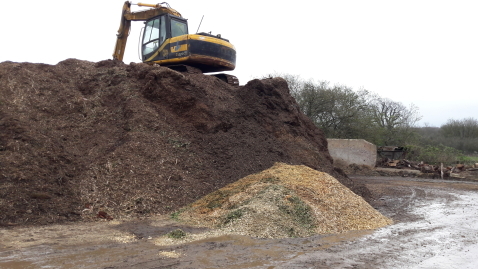 We can deal with large amounts of Woodchip produced from site clearance jobs in the form of woodchip. All woodchip processed by our company is recycled for bio-fuel or used in landscaping schemes for mulch. This acts as a fertiliser and weed suppressant. Backhurst manufacture Topsoil and Farmyard Manure and we also supply bark mulch for decorative purposes for gardening or landscaping. All of our waste recycling services are environmentally friendly and have a positive impact on the environment. At Backhurst, we believe in reducing our impact on the environment and promoting environmental sustainability. For more information, please contact us today.